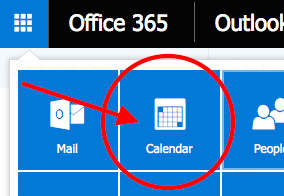 One of the more exciting features that Office 365 offers is the ability to share calendars company wide. However, without the assistance of third party tools users are unable to utilize the calendar sync feature on their smartphones. CiraSync however, can solve this issue. The default mail app on Android and iOS dont give your users a method to access shared calendars. This includes public folders and shared mailboxes. Here’s 4 useful applications for Calendar Sync on Smartphones, and ways in which your business may benefit by incorporating this feature. One of the more common applications of calendar sync is it’s ability to assist scheduling meetings that regularly change. CiraSync gives companies and individuals the power to sync their shared calendars at regular intervals, multiple times an hour. This feature has been utilized heavily by law-firms in the past; one assistant can manage the schedules of a dozen lawyers, even while they’re out of the office. Multiple syncs every hour ensure that last minute changes are present on each users mobile device. One of the more overlooked aspects company wide-calendar sync is the ability to guarantee individuals have the right time tables for events that may occur outside the office, or off typical business hours. While people are often fairly keen to utilize their time off, its often complicated to ensure every individual has the information they need on hand; by utilizing calendar sync companies can guarantee their employees know when they should or shouldn’t be in the office. Likewise, company events & training sessions are often posted over multiple channels, but that important reminder may not be on users smartphone as well. By simply updating a time slot to the group calendar online, administrators can ensure every employee is instantly reminded of upcoming events; even when they’re out of the office. Particularly useful for companies with large staffs that work rotating hours; such as Hospitals, Police Departments, large-scale service industries etc, the ability to have a visible, easily accessible group calendar is incredibly important. By scheduling shift changes on one central calendar, all users will know of any last minute changes to upcoming schedules, and be able to determine who is supposed to be working. Ensuring there are no lapses in scheduling is often a huge priority for businesses, syncing calendars to smartphones streamlines this process. A useful application of calendar sync is it’s ability to help manage the schedules of people working across multiple locations with rotating times. Take the construction industry for example; often individuals will be pushed around between several sites from one day to the next; likewise, foremen need to know which site, certain employees are currently at. A globally available calendar across multiple smartphones ensures that no one is left out of the loop, and each individual has up to date information on where they need to be, when. There are many more applications for calendar sync beyond this; with this feature making up only a small piece of the greater Office 365 suite. If you find yourself interesting in syncing the GAL, Calendars, Public Folders, and more to your smartphones, check out CiraSync here.